Engage with top STEM talent. The IT, Science and Engineering Fair is a highly successful Careers Fair providing your organisation with an amazing opportunity to meet our talented students and raise the profile of your organisation on campus. The University has ranked in the Complete University Guide Top 10 for subjects including: Aeronautical & Manufacturing; Civil and Electrical and Electronic Engineering for over 10 years. Last year this fair attracted over 2300 students, and we are anticipating more for 2019. 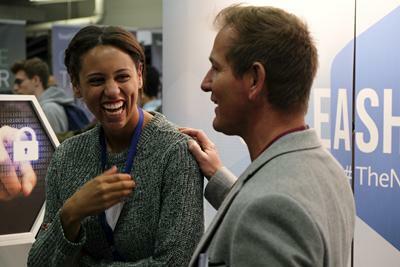 Previous fairs have also been extremely popular with employers, 100% of exhibitors in 2018 stated they would return. Extensive marketing to all 24,000 plus students including company information in the MySouthampton app and a large amount of Social Media Marketing. If you are interested in booking on to the IT, Science and Engineering Fair please register your interest on MyCareer, you will then me notified when the Fair is open for bookings. If you have not done so already, please first register your organisation on the MyCareer system: https://mycareer.soton.ac.uk/. 105 exhibitors were in attendance at the ITSE Fair 2018. You can view the exhibitors at this Fair in the brochure below.